2013-December-16: Hui Tang defends her Ph.D. dissertation at 1:00 PM in the ADI Room (C-25): Details. 2013-December-10: Heather McGrath defends her M.Sc.E. thesis at 10:00 AM in E-11. Details. 2013-December-5: Samyar Sepehr defends his M.Sc.E. thesis at 11:00 AM in E-11. Details. 2013-November-27: Presentation by McElhanney Consulting at 6:00 PM in E-4. Details. 2013-November-26: GGE Graduate Student Technical Conference. Details. 2013-November-19: Presentation by McElhanney at 9:00 AM in E-4. Details. Recruitment Visit by Midwest Surveys Inc.
2013-November-13: Midwest Surveys Inc. will give a presentation at 9:00 AM in E-4. They will be providing breakfast during the presentation. Details. 2013-September-30: Recruitment visit by Universal Geomatics Solutions. Presentation at 6:00 PM in E-4, with interviews to follow. Details. 2013-September-27: Recruitment visit by C & C Technologies Inc. Presentation at 9:00 AM in E-4, with interviews to follow. 2013-September-27: Luis Serrano defends his Ph.D. dissertation at 1:00 PM in the ADI Room (C-25): Carrier-Phase Multipath Mitigation in RTK-Based GNSS Dual-Antenna Systems. 2013-September-17: Jianjun Wang defends his M.Sc.E. thesis at 11:00 AM: Details. 2013-September-9: Our annual pizza party will be held from 12:00 - 1:00 PM in the main hallway, outside of E-4. All GGE undergraduate and graduate students, faculty and staff are invited. 2013-July-31: Patrick Adda defends his Ph.D. dissertation at 1:00 PM in the ADI Room (C-25): User-Side Modelling and Comparative Analysis of Airborne Lidar Errors. 2013-June-4: A lecture at 9:30 AM in E-52 by GGE alumnus Dr. Dozie Ezigbalike. Details. Lecture: How about the Quality of Big (geo)Data? Speaker: Dr. Michael Goodchild, Emeritus Professor of Geography at the University of California, Santa Barbara. Description: The Big Data phenomenon offers great potential for analysis, gathering of intelligence, and prediction. Its implications for science are more nuanced, however. In this presentation I compare Big Data with the traditional data sources used by science, and discuss the ways in which Big Data may be useful. Big Data can also be hardened by subjecting it to quality-control procedures. I review three possible approaches to hardening in the context of geographic information, with particular emphasis on volunteered geographic information. Time: June 3rd 2013 from 2:30pm to 3:30pm. 2013-May-24: Matthew McAdam defends his M.Sc.E. thesis at 8:30 AM in E-11: Implementation and Validation of a UNB Vienna Mapping Functions Service. 2013-April-25: Andriy Rak defends his M.Sc.E. thesis at 11:00 AM in E-11: Legal Issues and Validation of Volunteered Geographic Information. 2013-April-5: GGE Graduate Student Technical Conference. Details. 2013-March-14: Recruitment visit by MMM Group. Presentation at 12:30 PM in E-4, with interviews to follow. Details. 2013-February-25: Presentation by McElhanney at 12:30 PM in E-4. Details. 2013-February-19: Fugro Geosurveys will give a presentation at 9:30 AM in E-4, with interviews to follow. Details. 2013-January-28: DOF Subsea will give a presentation at 9:30 AM in E-4, with interviews to follow. 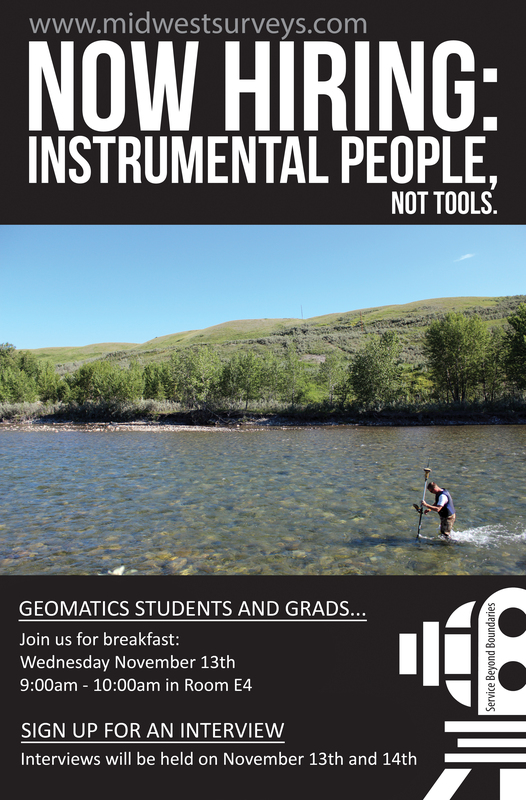 2013-January-23: Challenger Geomatics will give a presentation at 12:30 PM in E-4, with interviews to follow. 2013-January-23: UTEC Survey will give a presentation at 9:00 AM in E-4, with interviews to follow. Recruitment Visit by Underhill Geomatics Ltd.
2013-January-21: Underhill Geomatics Ltd. will give a presentation at 11:30 AM in E-11 on job opportunities within their company. They do not plan on having interviews that day, but they have asked if you are interested to provide a resume, and they will complete a phone interview at a later date.